Harbinger was founded in 1988 by David McCrane, a long time sports enthusiast and entrepreneur/inventor. At the time, McCrane worked in the skateboard industry and saw the need for a wrist-stabilizing glove that would provide skaters with protection and wrist support, and not interfere with their skating… and the patented WristWrap glove was born. While traveling to promote his WristWrap glove invention, McCrane sat next to an associate of 5-time Mr. Olympia Lee Haney. After a long chat, McCrane realized the opportunity for the WristWrap technology in weight training gloves. McCrane developed a line of weight training gear using Haney as inspiration which quickly positioned Harbinger as a force in the fitness market. Harbinger and Haney worked together to broaden Harbinger’s brand awareness with lifters and fitness enthusiasts. 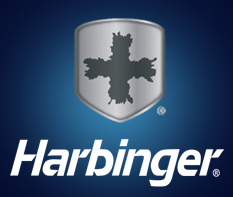 After Haney retired from competitive lifting, Harbinger continued to grow its fitness business and today enjoys over a 70% market share in fitness products. Harbinger built its reputation as an authentic, performance-oriented brand for athletes and fitness enthusiasts. We offer innovation, technology, quality and value at every price point. With numerous patents on gloves and other training items, Harbinger continues to bring new products to the market. 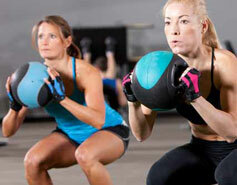 We offer products for power weightlifting, strength training, home exercise and core training. Harbinger is the brand of choice for athletes serious about their training and achieving their personal fitness goals. Paradise Nutrition Inc. makes possible to you the same commitment and enterprise that is promised by Harbinger Fitness, in India. Enjoy yourself in browsing through the website and feel free to contact us for any further inquiries.